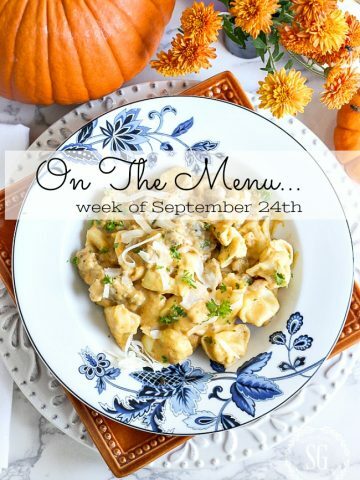 Planning a menu each week gives me the opportunity to collect lots and lots of scrumptious recipes and it also introduces me to so many A-MAZING food bloggers! 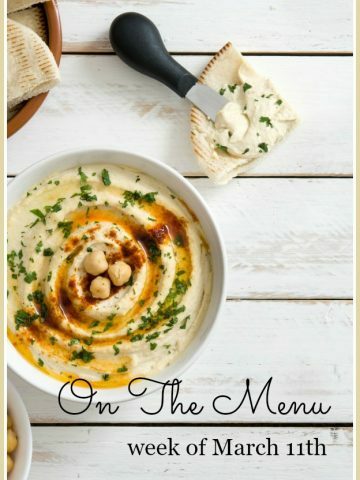 I’m obsessed with Cooking For Keeps, a new-to-me foodie blog with the most mouth-watering recipes and images that will make you want to lick the screen! 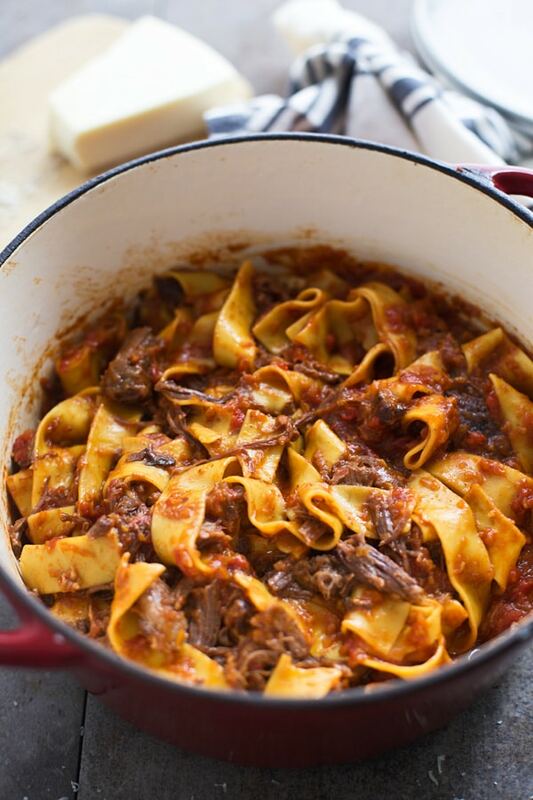 Bobby loves pasta and short ribs so this dish is Bobby perfection! 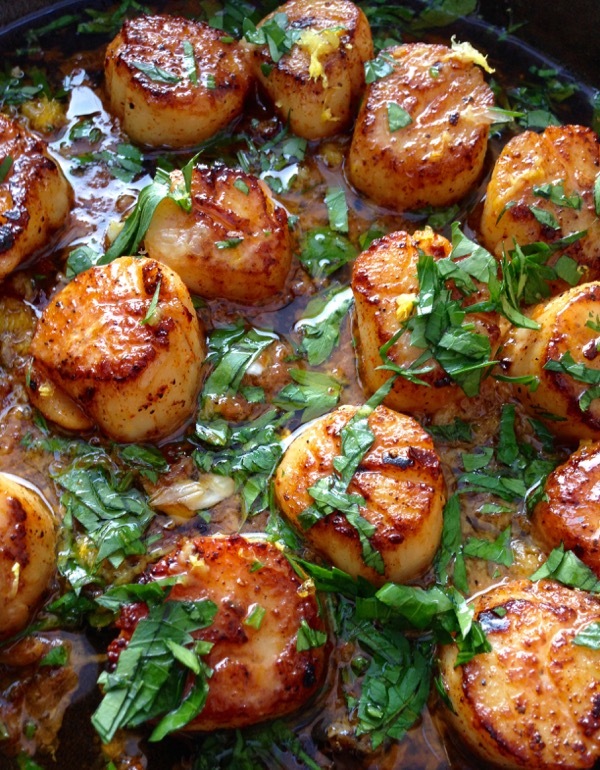 Scallops are crazy easy to make and so delicious. I wait till I find them on sale and use them fresh if I can! For me, the key is to get a good golden crust on them and to not overcook them. Scallops are a gift from the sea! I think I’d love almost anything that is covered with buttery cracker crumbs and cheddar cheese! 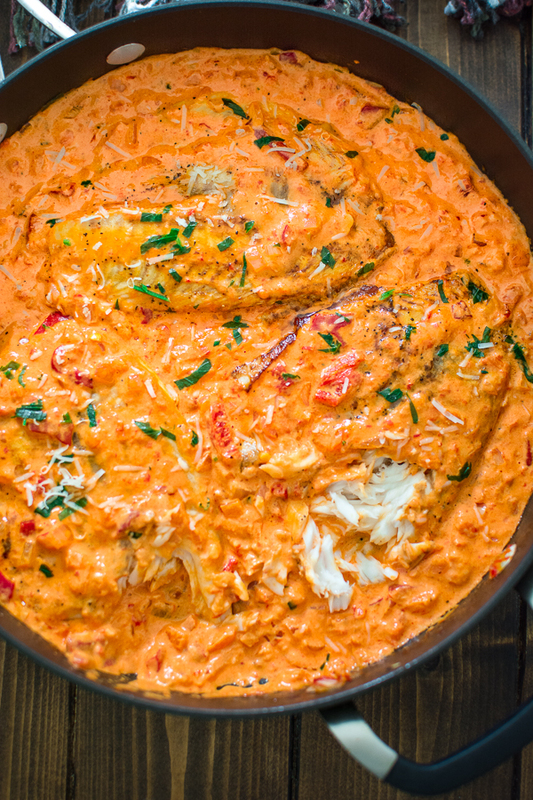 Today’s easy dinner is a keeper! If you have been following StoneGable for any time you will know that I LOVE soup! And there is not a soup on the face of this earth that is as good as my Nani’s Chicken Noodle soup! There are many things that make it stand out but making my own broth is one ( NEVER used boxed or canned broth) and the “noodle” trick. Make a huge stock pot of soup and freeze it for lunches and dinner. If you make one new-to-you thing this week… this should be it! Oh YUM! 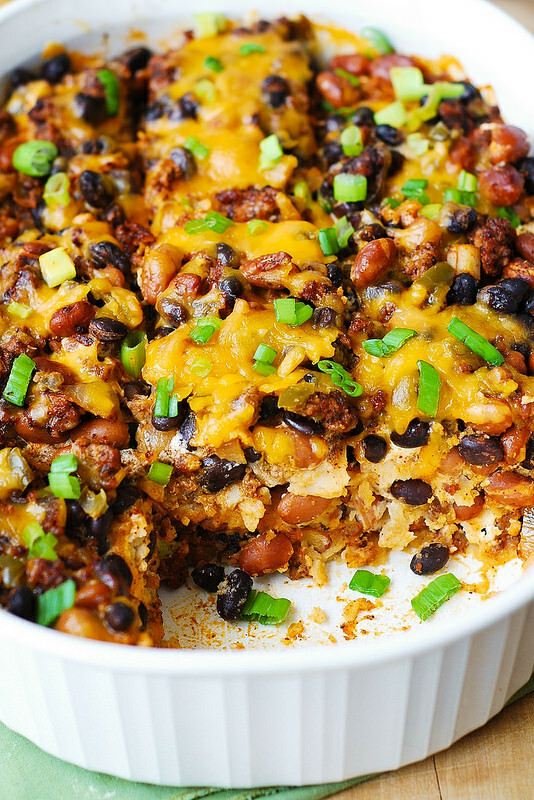 I love Tex Mex and I love a good casserole. Look at this beautiful casserole from Julia’s Album!!!!! I think this is the third time I’ve made this stunning and luscious dish! I have a confession, I don’t like most fish with cheese! 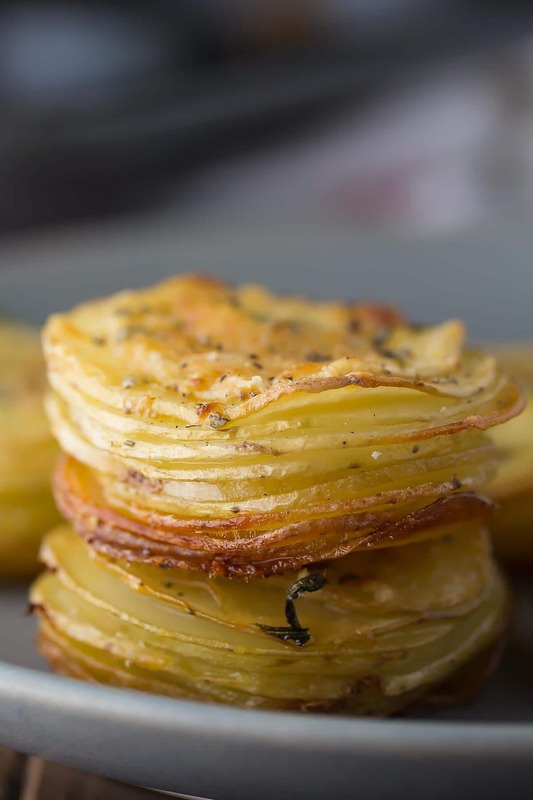 But this recipe is such a winner even with the cheese! Isn’t it pretty? And even tastes better. And an additional bonus… so easy to make! I first ate Red Chicken when I took a weekend painting class a couple decades ago. I forget everything I learned but I have been making this chicken dish ever since! It is so so good and so so easy!!! 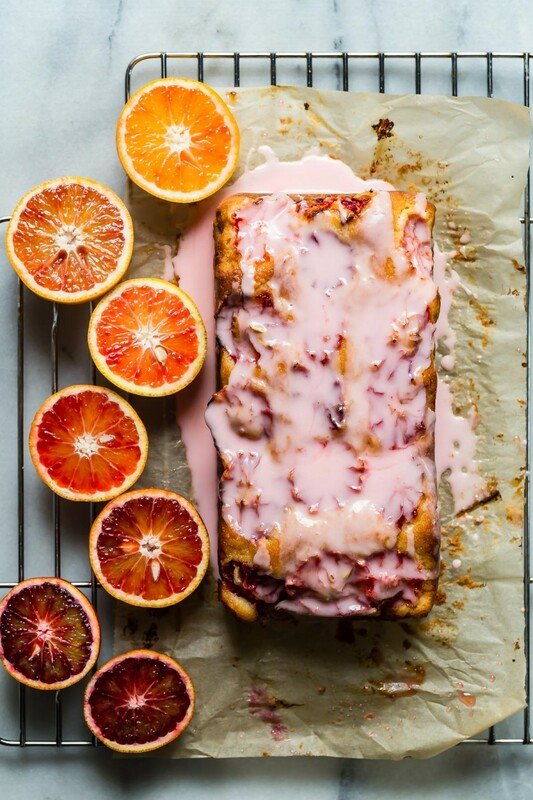 This is the most gorgeous loaf cake! SIGH!!!!!! 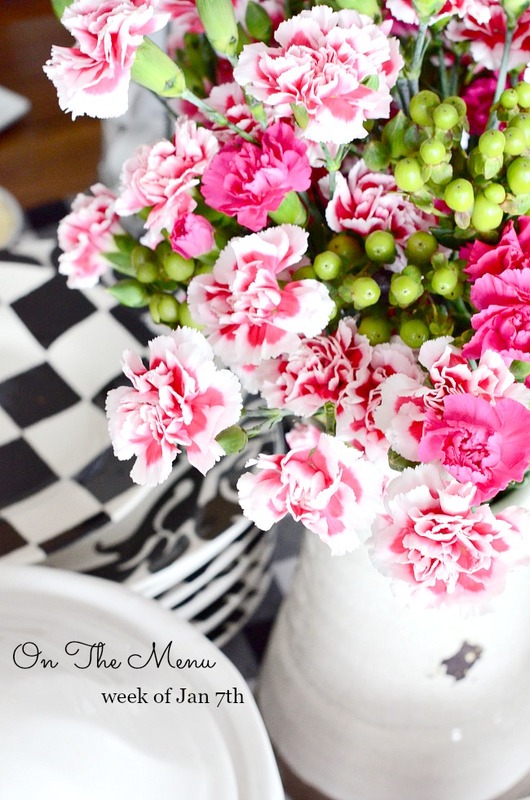 I like to keep one sweet thing on hand to take to a friend, give as a little hostess gift or have here at home. Bobby and I are not big sweet eaters, but a nibble of something that looks this delicious with a cup of afternoon coffee is beyond decadent! I like to eat “seasonally” and find great food that is fresh in my area. January is a very cold month here so I’m getting oranges from Florida and California to eat as snacks and use in recipes. Thanks Yvonne, you’ve given me some new suggestions on what to feed my family. Yvonne, your recipes are always so delicious! Thanks for taking the time to do these for us each week! Appreciate you, so much, Yvonne! Have a great week! Blessings! Why isnt the Red Chicken pinable? Because it is a very old recipe from when I first started blogging. You can cut and paste it into a document and then print it. But is really is so easy just to remember it! Those crispy cheddar chicken tenders are calling my name! Thanks for all the great recipes! Your recipes are beautiful, but so unhealthy, for the most part. I cannot imagine the weight gain eating a week’s menu. Can you explore adding a few more healthy, low carb ones? Like your balsamic brussel sprouts? Thanks so much, Yvonne. OUCH!!!! Tamera, my menus might not be a good fit for you. How do you know just how much I eat? I love great food and eat accordingly. If it’s rich I might just eat a few bites and I do bulk up on the veggies. Many people struggle with weight so let’s be a little more sensitive, Please! 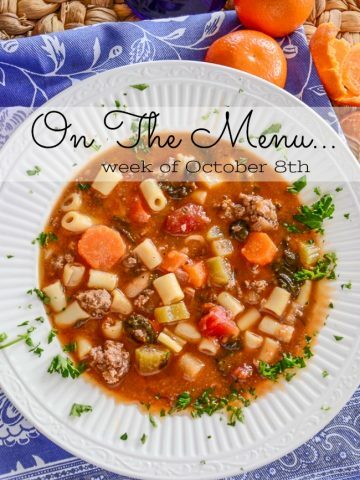 Fantastic menu ideas this week! Plan to try several of these. Thanks! 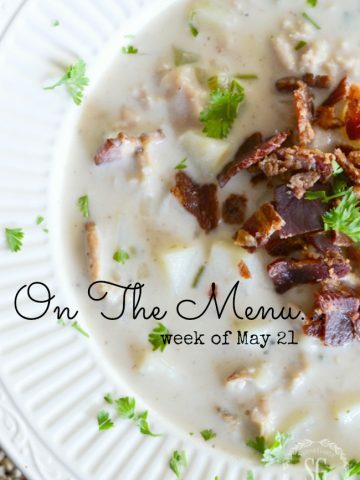 This week’s menu sounds delicious! I would love to try the short ribs & pasta! Yum!! I love the variety in your menu also. Thanks so much for providing recipes also! Thanks for the menu ideas. The soup looks delicious and love the tex-mex recipes. I can’t wait to try them. 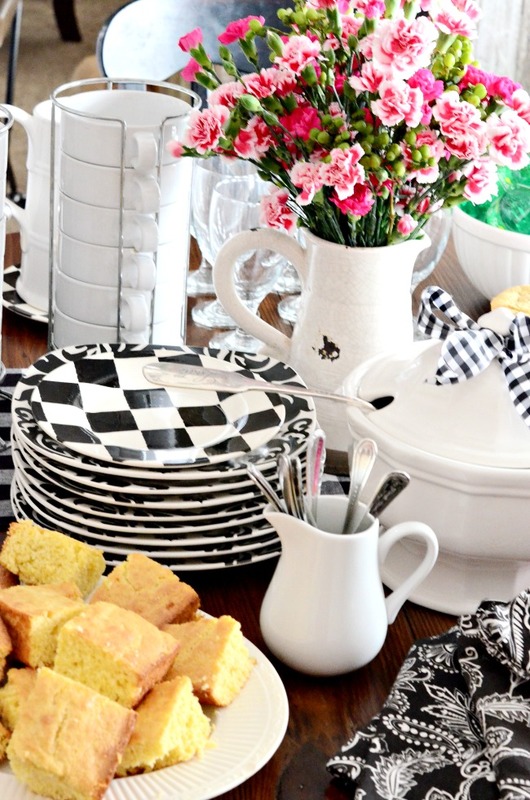 Where did you get your black and white dishes? I love the checked ones mixed with the pattern. Hi Peggy, they came from HomeGoods and Pier 1 years ago! Love your website! I especially love your Sunday posts. So good! I cannot wait to try the Crispy Cheddar Chicken Tenders! One question: Do you know why I get so many pop-ups on your site? I don’t get them reading any other website. On yours, they pop up from the right and left side of the screen and the bottom too, so much so, that it is hard to read anything you post because the screen is jumping all over the place. As I said, this only happens on your website. Please advise, if you can. Thank you. 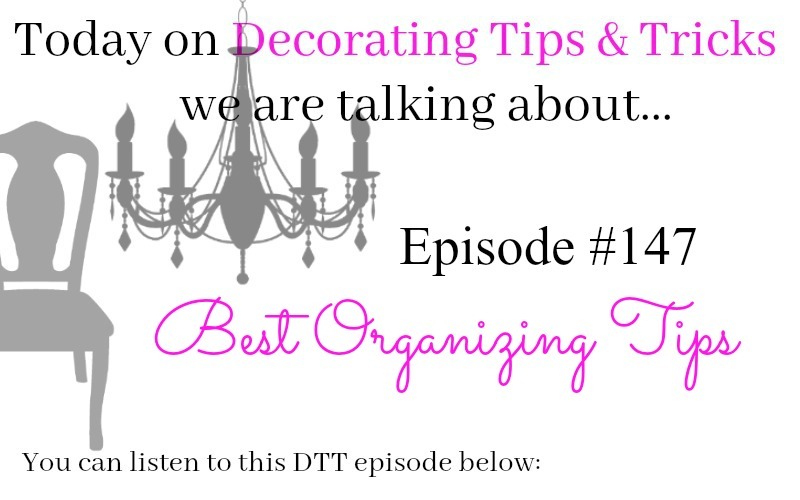 Kudos to all of you for the motivational tips and encouragement from DDT Organizational Tips! I had a “snow day” from school yesterday due to frigid temperatures in north central PA and spent a brief time organizing one little closet. But after today’s pep talk, I’m heading out to do my 15 minutes with the shelf in our coat closet! Thank you, friends! It feels like you are right here beside me cheering me forward! 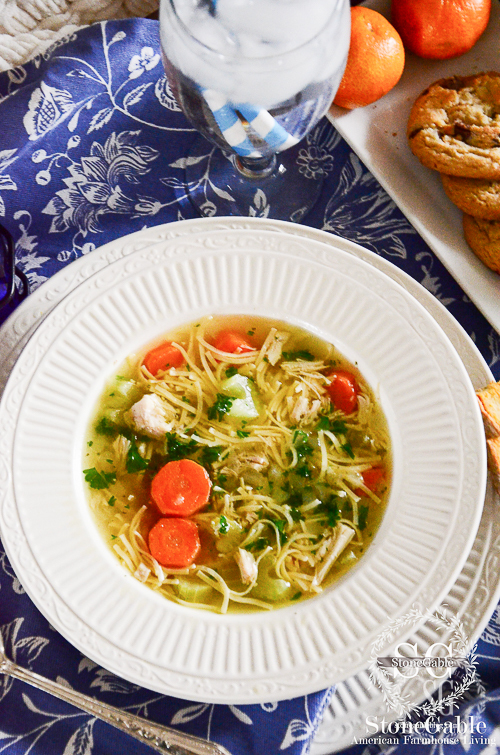 Learned to make “the best chicken soup ever” from my Mom who’s process was an exact duplicate of your Grandmother. It is amazing. 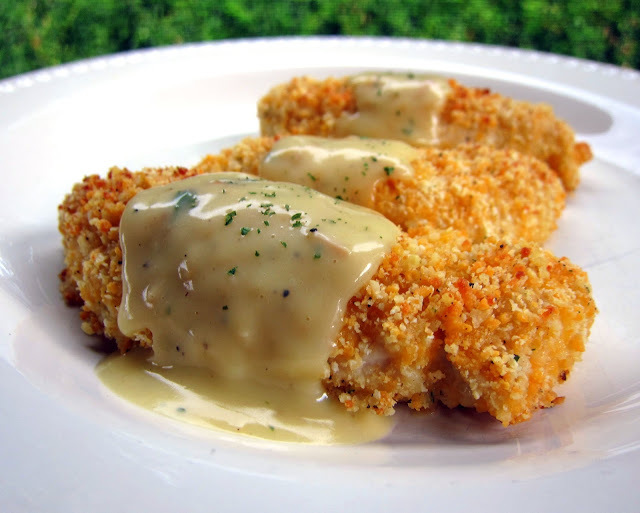 Think I will be giving those chicken tenders a try — sound fabulous!